Infrared sauna is completely safe. All of us know sweating is a great way of burning calories and getting rid of unwanted toxins from the body. But then how does anyone who is injured or unable to exercise sweat? Well, in that case one can always rely on infrared sauna. It helps your body release a number of toxins and stimulate sweating. Interestingly, it can offer you more than just that. We all are aware of the fact that sweating is a natural way of getting rid of toxins from our body, thereby it plays a vital role in detoxification. 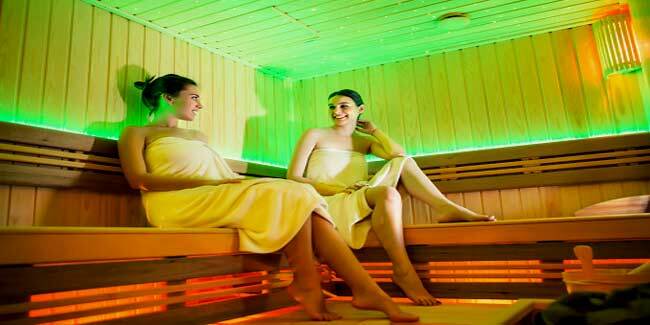 You will be surprised to know that infrared saunas therapy is capable of removing about seven times more toxins from the body as compare to other traditional saunas. This therapy also helps to balance the levels of stress hormone called cortisol, thereby soothing your body. It generates heat that helps relax your muscles and alleviate tension from the body, which in turn allows you to de-stress and relax. Suffering from muscle aches or joint pain? Try infrared saunas as it can provide you relief from inflammation as well pain by improving circulation. Besides, this will also relax your muscles. As mentioned above, infrared sauna generates heat that eventually increases temperature of your core, leading to an increased heart rate. As a result, your body will work harder to lower down the temperature of your core thereby resulting in weight loss. Experts suggest that 30 minutes of infrared session could burn as many as 600 calories. More the core body temperature better will be your circulation thereby improved muscle recovery, reduced pain and inflammation even after intense workout. This therapy is also good for skin health as it helps eliminates toxins from your pore, increases circulation thereby giving you clearer, softer, and healthier-looking skin. Three different levels of infrared include; near, middle, and far, which represent different sizes in infrared wavelengths and refer to the intensity of the treatment. Near-infrared levels are believed to be best for wound healing and increased immune function. Middle-infrared levels are believed to be ideal for improving circulation and promoting muscle relaxation.